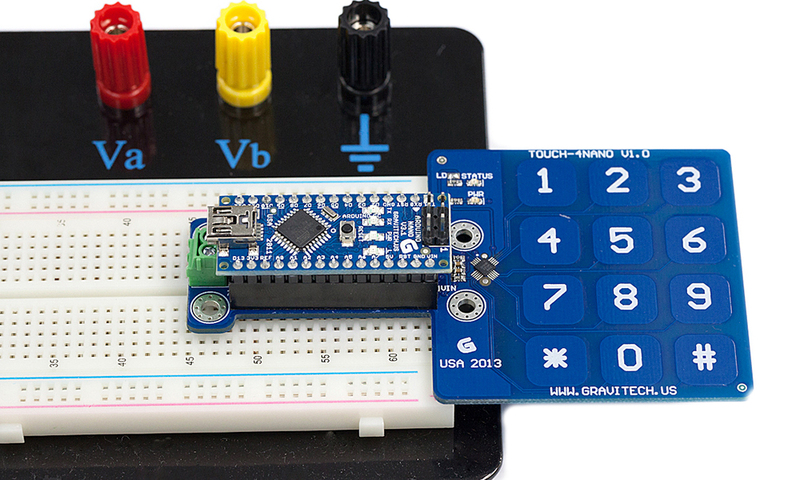 This is a Capacitive Touch Keypad add-on module for Arduino Nano. 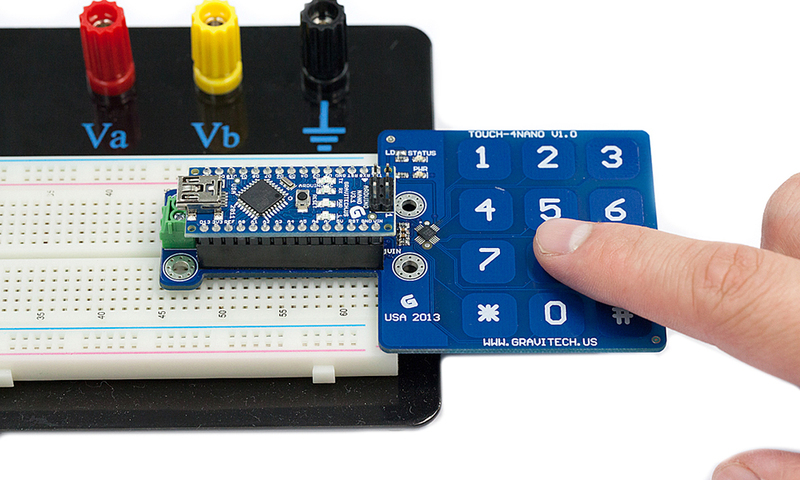 This add-on module allows you to use the cool interactive touch screen input. There are total of 12 pads (0-9, * and #). 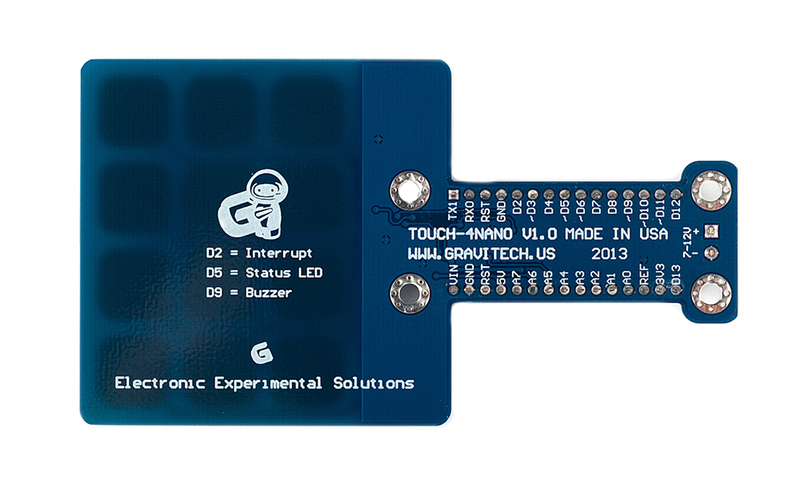 In additional, there is a buzzer and a status LED for user input feedback (can be disabled). 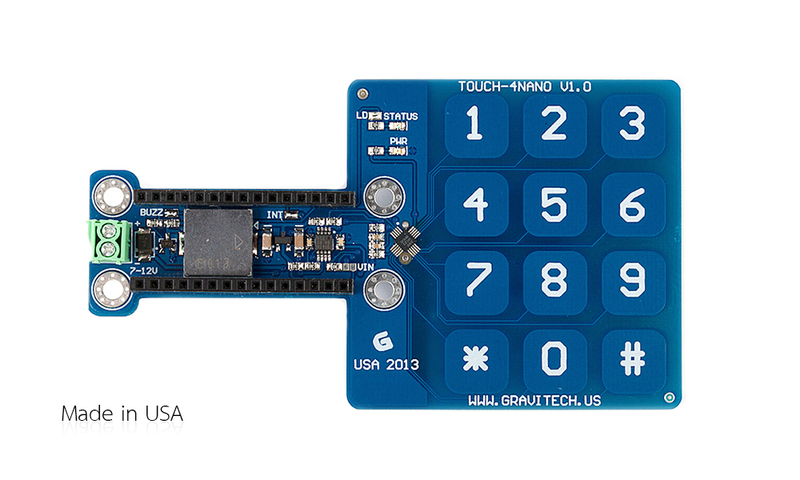 This make it suitable for any project require keypad input. The main capacitive touch IC on this board is a MPR121. We've some example code for you to get started right away. 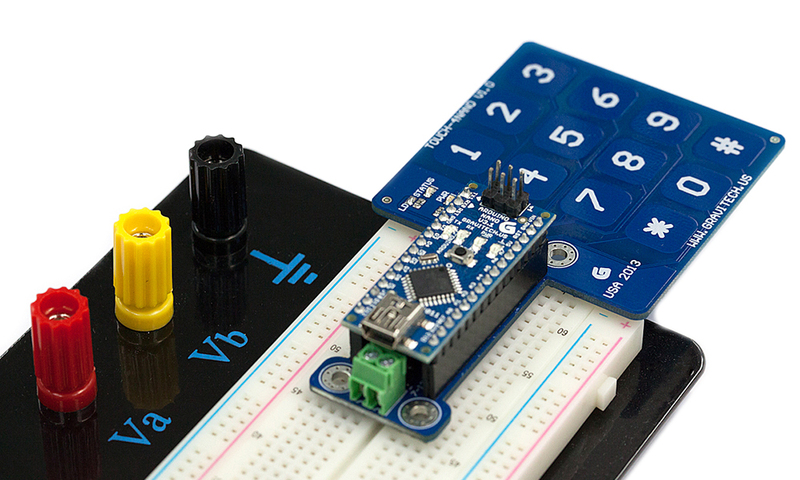 The TOUCH-4NANO connects to an Arduino Nano using female long wire-wrap headers which extend through the board for the breadboard connections. 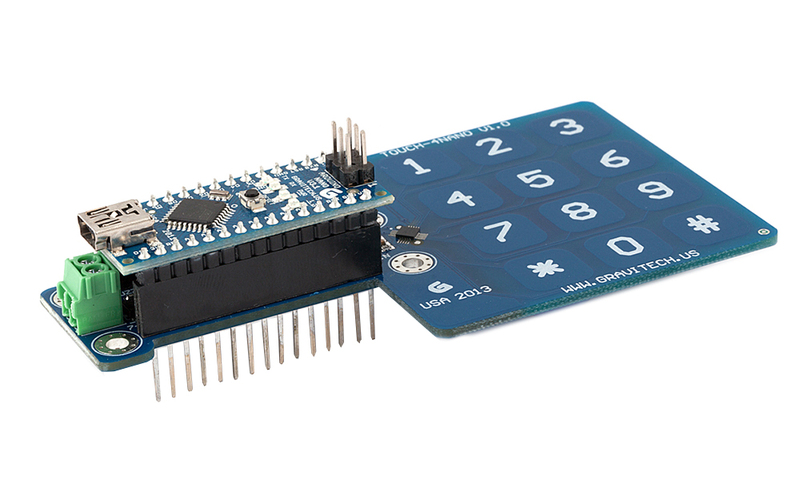 This keeps the pin layout intact and allows another add-on module to be stacked on top or bottom.